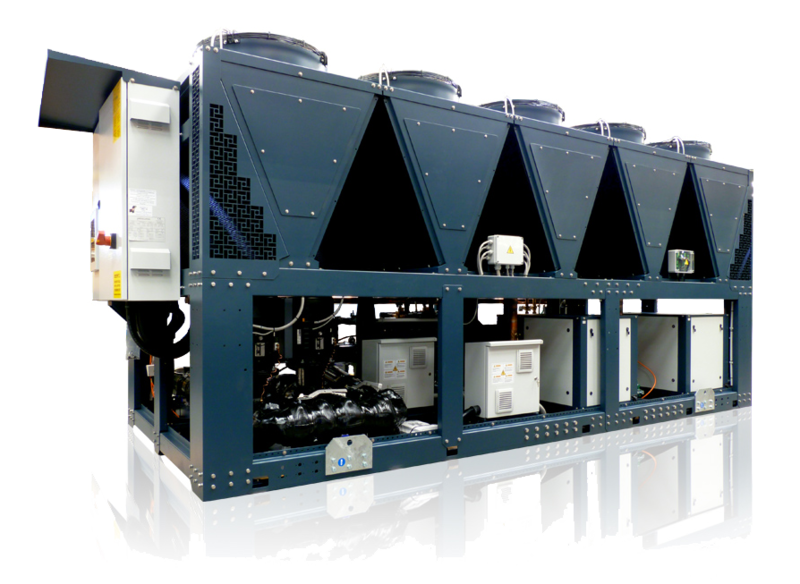 Installed with Turbocor centrifugal compressors and assembled on a self-supporting heavy duty base frame,. Treated for outdoor installations and epoxy powder coated. All units are supplied completely wired and ready to be connected to the user’s plant. Prior to delivery every machine is submitted to a performance test according to the strictest norms in force, with intervention tests of all the safety systems and components installed. Each unit is available with low-speed fan and compressor sound insulation kit for the LN (Low Noise) and LLN (Super Low Noise) versions, for installation in areas where noise emission must be extremely limited.